Want to perfect and become accomplished in aesthetics, but not sure where to start? We offer a mentoring service for businesses that have done their aesthetics training, but need to become adept at offering treatments in order stand above the competition. We will work with you in a pre-booked clinic scenario made up entirely of what you personally want to achieve. Maybe you have been asked to carry out something in clinic that you’re not sure of, like an eyebrow lift or a client has approached you who requires hydraulnaise to disperse badly placed filler or maybe you need help with organising your business and keeping comprehensive records with appropriate documentation? 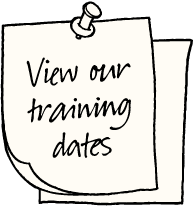 Whilst some of our basic courses are conducted by any one of our approved trainers, all tailored training and mentoring courses are taken by our Specialist Trainer, Chantalle Coombes, who has 8 years of expert knowledge in aesthetics and is well known throughout the industry. During your training day, you will be able to draw on this wealth of experience. Chantalle has trained practitioners nationwide, trained the Training Managers at National High Street Chains (such as The Harley Medical Group), and her role as a Regional Sales Manager meant she was privileged to get an insight into hundreds of well established, experienced clinics absorbing their tips like a sponge ready to pass onto you. You choose the facial areas in which you would like to train, advise us of any particular techniques you are looking to learn or perfect, choose the preferred you would like to train with* and when you would like to train. We do all the rest! We also offer weekend courses to fit around your busy schedule and can offer 4, 6 or 8 hour sessions. After speaking to one of our experienced advisors, we will create a personal agenda to include a detailed plan of what we will cover throughout your training day; email it over to you for approval, prior to any financial commitment from yourself. Once the agenda has been agreed and a deposit has been paid, we will then begin the process of sourcing the models, keeping you updated with our progression on a weekly basis. Whether you are a beginner who needs support and guidance, or an experienced practitioner who simply wants the tips that make all the difference, then this is the course for you! We have found that practitioners who have gained the most supervised practice, have not only grown in confidence, but grown their business too. Recently we did a Tailored Training and Mentoring course with an experienced dentist, who owns a successful dental practice in London, but wanted to expand the aesthetics side of the business, following basic training. We were asked to recreate a clinic setting, whereby actual clients (live models), visit the clinic with a wide range of scenarios that require treatment. The first appointment was carried out by the trainer in order to demonstrate the natural progression of an appointment and put the delegate at ease. The second appointment was then carried out by the delegate, from consultation to administering the treatment, under the supervision of the trainer. We allowed an opportunity to recap in-between each client (model) whereby the trainer advised and gave pointers. The scenarios provided started with simple Botulinum Toxin appointments, also covering Top Ups and then developed to more complex scenarios throughout the day to allow the delegate to make decisions on the best course of treatment, as the mentoring progressed.